Gosh. It’s been nearly a year since I last wrote an update. That’s pretty shoddy, even by my standards. The thing is that I have appeared to have reached an age where as soon as something happens that might be worth mentioning here, it gets forgotten about until something else vaguely interesting happens. And the bigger a backlog becomes, of course, the easier it is to overlook. Let me try and remember though: Well, there’s another Little Shoe under construction – which is pretty hard to ignore, given the volume of baby clothes being dragged from the attic on an almost daily basis. We also moved from Salisbury to the waterside fringes of Southampton, which hasn’t been entirely successful. It’s a nice enough place, just not the sort of area you want to walk around in a Pompey shirt – as I’ve been known to do on occasion. On the work/games front, with Little Shoe #1 recently starting pre-school, I’ve been writing a few more bits and bobs for Eurogamer and other sites, as well as helping out with some community content for EA. Things haven’t progressed an inch on any of the book projects I’ve promised myself to start/continue, but I remain hopeful on that front. Oh, yeah, and last year I got my name in The Witcher 3 credits (look, I even have a Mobygames profile), which gave me a warm glow of satisfaction proportional to a cold week spent in Warsaw. I was eight years old and I recall needing to find my dad. I wasn’t lost or being stalked, or anything modern and paranoid like that, for when you lived on a 1970s military base in UN-patrolled Cyprus, being out unsupervised from noon til night (fighting wars with sticks and stones) was what kids did. On this particular occasion though I needed to find my father, probably so he could eat whatever dinner my mother had made. As missions went, compared to assaulting storm drains with your mates, it wasn’t the most exciting. I’d looked everywhere I could think of except the local bar. Even though it was out of bounds and therefore threatening, I knew my dad helped run things there, so with shadows lengthening and few options for a successful search left, I sheepishly wandered in. There I was confronted, not by a bartender eager to haul me out by my ear (still a thing back then), but by a growling machine monolith. I’ll never forget it’s green alien glow curling through the cigarette smoke, less still its analogue heartbeat. It was like coming face-to-thigh with Maximilian from The Black Hole (which like my first videogame console, a Binatone TV Master Mk IV, was still a year away from making a lasting impression). I didn’t play the machine. I didn’t know it could be played. I had no money on me and wouldn’t have known where to put it if I had, or that was what powered the thing – since it couldn’t have just been electricity. (The Force maybe?) I just watched from a safe distance, the screen flicking from lists of secret alien codes to footage of a prior invasion from space. Then I ran outside and into the failing light, as much in fear of being discovered by an adult as from the machine-beast in the corner. Naturally I was to find my dad at home, probably annoyed at me for being out late and delaying his meal. I said nothing of the encounter lest I gave away where I’d been, but I like to think that night is when I had my first electric dream and the seeds of a lifelong interest in videogames was sown. Then again, perhaps it was more a recurring nightmare now I think back on it. One of the things I’ve always enjoyed about X: Beyond The Frontier – far more than in any of the sequels – is just how laid back it is. 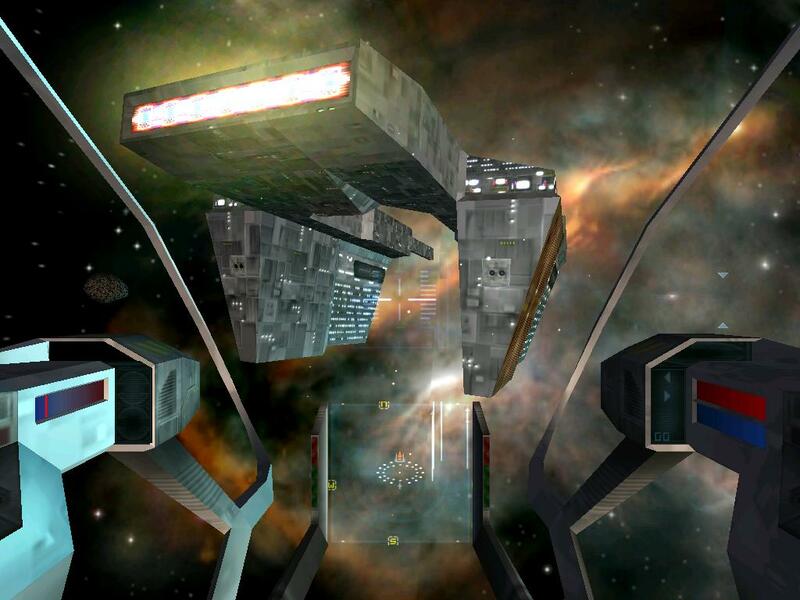 From the non-existent flight model (your X-perimental shuttle responds better to a knackered old keyboard than it does an expensive joystick) to the sleep-inducing automated voice that greets you as you dock at a station, Egosoft’s debut space trader seems intent on lulling the player into a semi-conscious state – perhaps to prepare pilots for what can be a fairly ponderous journey. Unfortunately it’s when you are at your most relaxed that you are most in danger. I refer of course to perils of the siren-like docking music, which acts as a kind of aural pillow upon which you can rest your trade-addled mind. In concert with the hypnotic green “position lights” the game’s Blade Runner-inspired OST has caused me to collide with many a station entrance on account of being too catatonic to slow down. On the plus side, pulling out or managing to get your speed down in the nick of time can be a genuine thrill. Given how secondary combat is to the game, perhaps it’s just as well. Despite the many costly late nights invested in Elite: Dangerous over the last few weeks, it was only in the early hours, after delivering another golden cargo to the tea-starved settlements of Aiabiko, that I could at last afford a Cobra Mk. III. Not my first, I should add, but given how quickly that fated vessel left my possession – disintegrating barely a minute into its maiden voyage – you’ll forgive me for not counting it. As well as being the most iconic ship in the game, the Cobra is for me the most desirable, on account of the more numerous (and less punishing) late nights spent flying its wireframe predecessor as a starry-eyed teenager. Needless to say, having one of these beauties in the hangar for the first-ish time in three decades makes me happier than any game inventory has managed in many a year. In the original Elite, of course, the Cobra was the only ship you could hope to fly, which was perfectly fine as it was just as capable a combat vessel as it was at shifting narcotics. 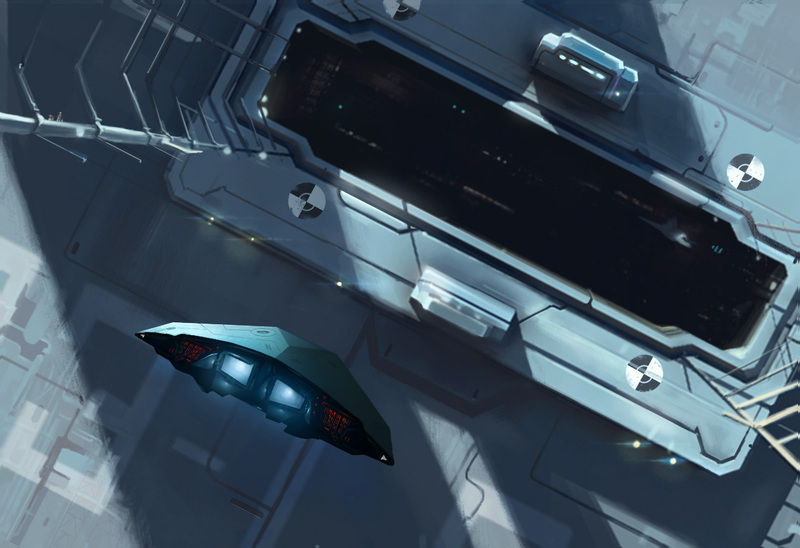 In Elite: Dangerous it’s every bit as versatile as it’s 1984-model – more so given the fitting options – but with a range of available hulls better suited to specific roles, the old workhorse has effectively been relegated to stopgap status. It’s now the old banger you pootle around in once you’ve nailed the fundamentals; useful only until you decide on where you’re going in life and can afford something better suited to getting you there faster. The thing is, being something of an old wreck myself, I’m loathed to scrap a ship I’ve waited almost 30 years to reacquire. Which is why I’m going to try to ascend through the various Elite rankings old school, sticking to the Cobra Mk. III for as long as I can. Since time isn’t an issue (well, aside from the onset of old age), the hope is I can earn my golden wings without having to invest in the jump range of the Asp, the firepower of a Vulture or the cargo bay of a Type-9. It will be a long and dangerous journey, I’m sure, but it’s one I’m determined to stick with for as long as my dwindling free time allows, or until curiosity gets the better of me. I give myself a week. It’s time to do more with this little blog than indulge my velleity, so I’ve decided to give my infrequent adventures in games writing a bit of focus by concentrating on the games that seem to take up all my spare time – spacey ones. As previously mentioned I’ve been playing a fair bit of Elite Dangerous over the last year, but over the last couple of weeks things have started falling into place in terms of my ambitions and interest in the game. At the same time, in an effort to put an old Vista laptop to some use, I’ve been enjoying starting from scratch in the very first X game. I’m not sure if it’ll hold my interest in quite the same way as it did when I first reviewed it for PC Zone (back in the wilderness years of space gaming), but I’ve already gotten further on this second attempt than I ever managed first time in any of the sequels. I’m finding it hard to muster any interest in playing through Mass Effect. I’ve started it many times over the years; originally intending to complete the game before Mass Effect 2 came along, before realising some while later that people were up in arms over Mass Effect 3 and I still hadn’t guided Shepard through his/her first assignment. The thing is, every time I task myself with ticking Mass Effect off my backlog of games, I manage to play through the first episode on the Citadel, visit a couple of planets and then lose complete interest in the whole thing. In the past I’ve put my stalling down to flightiness, but after my latest attempt to get through the trilogy I’ve come to the conclusion that Mass Effect just isn’t that exciting. In fact I’d put it up there with Star Wars: The Old Republic as Bioware’s Most Tedious Game. Maybe I’ve become jaded with Bioware’s dialogue system, which all too often seems to offer inflection dressed up as choice. Then there’s all the running around and backtracking through overly-large and tediously prefabricated locations, being trapped in elevators and combat that isn’t nearly as tactical as it thinks it is. And don’t get me started on Origin: I spent so long with various EA support reps, trying to get the game to run at all, that I gave up and downloaded a cracked version instead. It’s a curious irony that I have three legitimately acquired copies of Mass Effect, two of them digital, yet in order to play the game on my current PC I have to resort to piracy.